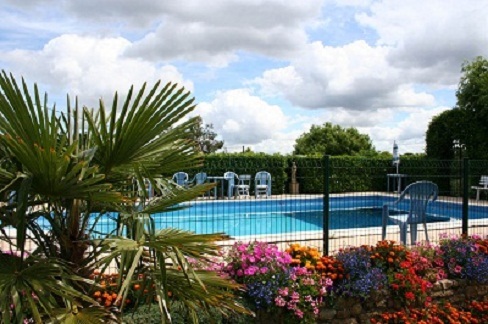 gardens at La Grange, Vendee | Beautiful landscaped gardens with pool. 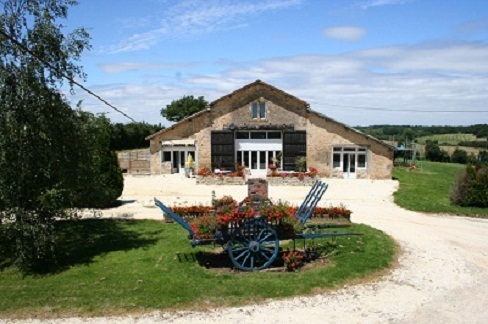 There are two things that set the La Grange Complex above all the other gites in the area, they are the the Activities both indoors in the sports and entertainment hall and out side with other sports and games facilities. 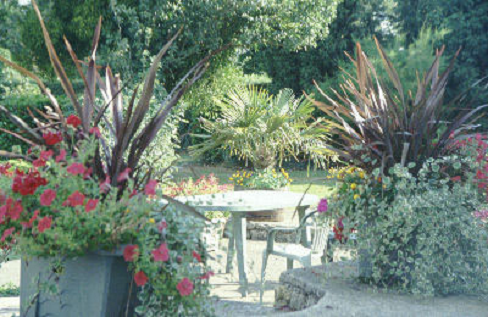 The Second is our Gardens and grounds.The 2½ acres of landscaped gardens are a blaze of flowers in the summer with mature trees and shrubs set in well mown lawns. There are quiet corners and sheltered areas and the whole garden has a good outlook over the surrounding countryside. As well as the informal landscaped gardens there is an additional 2 acres or so of mown lawn for playing what ever you fancy. We are proud of our gardens at La Grange not only because of the way they are landscaped and the vast amount of colour in the flower beds, but because of the amount of enjoyment that they bring to our visiters. The gardens are basically in two parts, the landscaped garden and the sports field. The gardens consist of beautiful landscaped gardens with quiet nooks and plenty of shaded areas, there is a boules court in this area. The sports area is a large area with a football pitch, trampoline, swings and sliders. 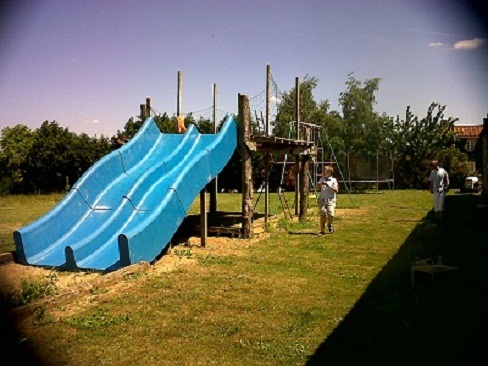 The Activities and Facilities at La Grange are very extensive,with something for all ages.